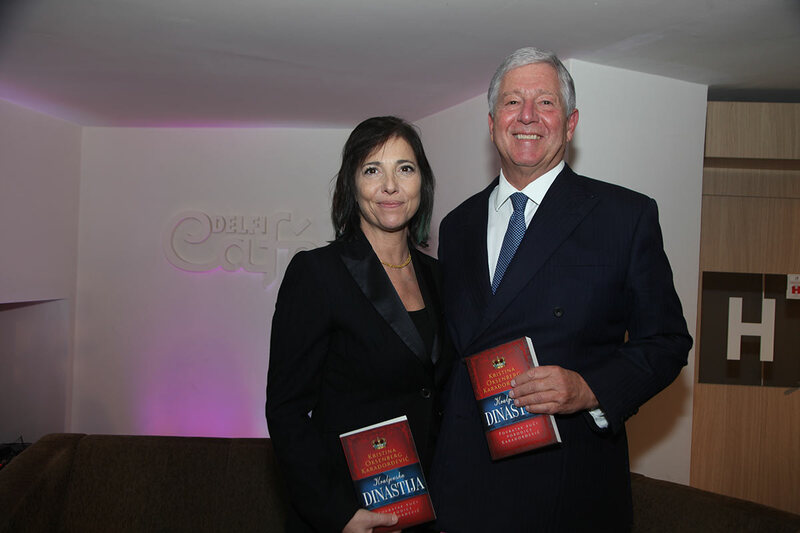 Their Royal Highnesses Crown Prince Alexander, Crown Princess Katherine and Prince Alexander attended the promotion of the book “Royal Dynasty – Karadjordjevic Family Return Home” by Christina Oxenberg Karadjordjevic at the Delphi Café SKC this evening. 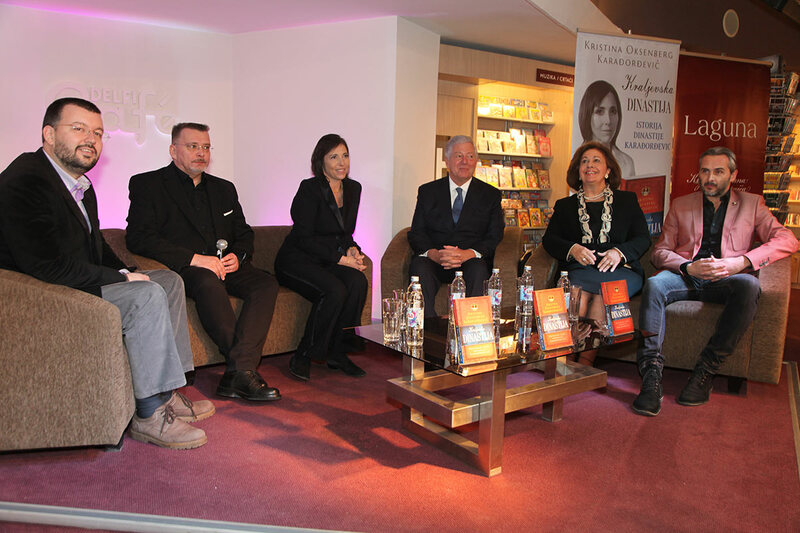 Beside Crown Prince Alexander the book launch guests were addressed by Professor Cedomir Antic, a historian and a member of the Crown Council, Aleksandar Jovanovic, a journalist, and Kristina Oxenberg Karadjordjevic, the author of the book. Christina Oxenberg Karadjordjevic is the descendant of the Serbian Royal Family, the great-great-great granddaughter of Karadjordje, the daughter of Princess Elizabeth Karadjordjevic and an established American writer. In the book “Royal Dynasty – Karadjordjevic Family Return Home” she presented us with an exciting personal and family story that contains three segments: the short story of the family whose fate was firmly associated with one European nation and the history our continent and the West in general, over the past two centuries; Serbian history through the eyes of an American who grew up far from her country of origin, which she, in adulthood, passionately studied; Finally, the reader follows the story of self-discovery. Searching for the roots, the author provides an overview of the history of Serbian dynasty of Karadjordje until today. The book contains photographs from family albums that have never been published. 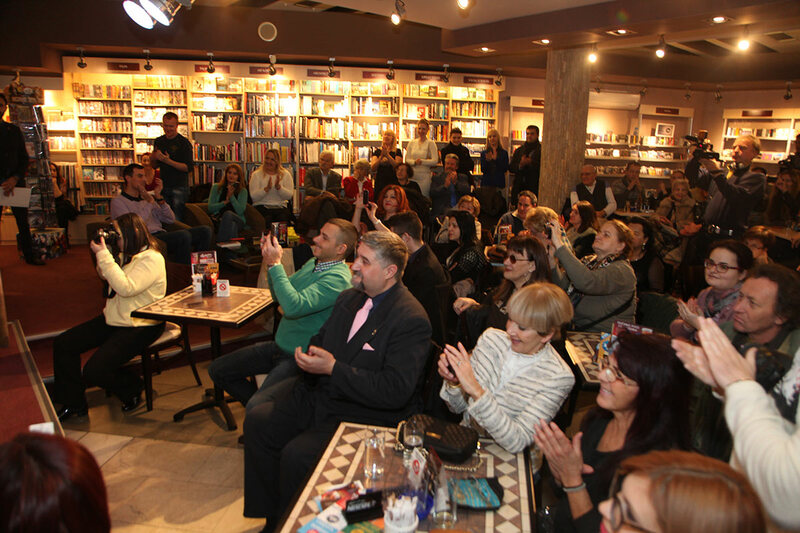 Christina Oxenberg Karadjordjevic presented herself for the first time to the Serbian public at this year’s Belgrade Book Fair. She is the great-great-great granddaughter of Karadjordje, the founder of modern Serbia. Born in 1962 in New York, her mother is Her Royal Highness Princess Elizabeth Karadjordjevic of Yugoslavia, and the father is an American Howard Oxenberg; by birth she is a citizen of the United States. She is currently living in Serbia. Christina is an established writer in the United States. Her first novel “Taxi” was significantly successful in 1986. Her sister Catherine Oxenberg starred in the role of Amanda, in the famous American TV series “Dynasty”. The book “Royal Dynasty – Karadjordjevic Family Return Home”, translated by Nenad Dropulic, can be found in all Delfi bookstores, Laguna readers’ clubs, online bookstore www.delfi.rs and on the site www.laguna.rs.